Pool Care - We're the Pro's! 1. Why do I have a green swimming pool? A pool can go green for any number of reasons. A filter may be blocked, there may be no power to the pump, a chlorinator may have failed, rain water runoff may have entered the pool, the balance of the water may be out, and it could be a high build-up of phosphates in the water. You may also have a green pool for other reasons. Is the filter pump running and is there water flowing through the skimmer box? Are there any warning lights on the chlorinator? When was the last time you added chlorine or salt? After heavy rain water may need re-balancing. For green pool recovery in the shortest time possible, call the office on 9452 2192. 2. Can I change my pool to a salt water pool? Salt water chlorinators for chlorination are the most popular form of swimming pool chlorination. Once the correct system is installed a pool will give years of trouble free enjoyment. The salt water chlorinator generates its own chlorine as the filter pump is running, saving the pool owner hundreds of dollars in chemicals, and no more lugging liquid chlorine drums in the car. Installation of the correct chlorinator for your requirements is vital. As we have said before not all brands are equal, some are not as reliable as they should be. We only install quality units that will give years of trouble free operation. The latest and greatest units with all the digital bells and whistles may be over kill, it is after all just for making chlorine! 3. My pool pump is very noisy. Help?! Noisy pumps are an indication of a blockage or failed bearings. Switch everything off at the power point and call the office to talk to our pool pump repairs team. We will send a technician over to find and fix the problem. 4. My pool pump is running however not much water seems to be coming out of the outlet at the pool. 5. Do you offer swimming pool cleaning services outside the North Shore? Yes we do we have clients from Vaucluse to Palm Beach. Gladesville and Ryde are also in our pool cleaning service area. Other areas are by appointment, depending upon what you require. 6. How long does it usually take for pool pump repairs? Generally a pool pump repair job is completed and the pump will be returned within 48-72 hours. In an emergency and we have parts in stock some pumps can be repaired and returned that day. 7. Can tree roots cause pool leaks with concrete pools and can I avoid this from happening? Tree roots can significantly damage pool plumbing causing pipework to split. Donâ€™t plant trees over the top of the pipework for the pool, it will lead to unnecessary expense at a later date. It there are too many tree roots around the plumbing the pipes may have to be re-located meaning large areas of your yard will have to be excavated. Call our Pool Leak Detection Team if you believe your pool is leaking. 8. Which are the best brands of salt water chlorinators? The most reliable salt water chlorinator on the market are made in Australia by Watermaid, Many of their chlorinators have been working for over 20years without a problem. We recommend Watermaid to all of our customers. 9. What is the usual frequency that I would need swimming pool cleaning maintenance by your team? That depends on your personal circumstances. Some of our clients travel regularly for work and donâ€™t have time to look after their pool. These clients pools are serviced every week or fortnight. If you have many large trees over your pool service is required more frequently. 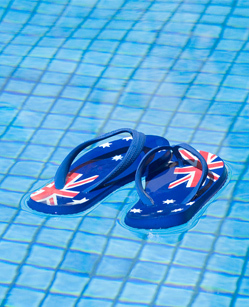 Most of our clients pools are serviced once every 4 weeks in winter and ever fortnight during summer. We tailor schedules to suit each client and their particular requirements. 10. How do I register my Pool on the NSW Government Swimming Pool Register? All the details and requirements for the check list are listed on the web site. Your local council can conduct the fencing inspection and issue a certificate if you need one. All pools must be registered by the 29th October 2013. If you are at all concerned that there is a problem with your swimming pool or pool pump / equipment and you are not sure what it is. Turn everything off at the power point, it is the safest option and could save $100â€™s in further damage to your swimming pool pump or filter. If in doubt TURN OFF YOUR POOL PUMP and call 9452 2192! !